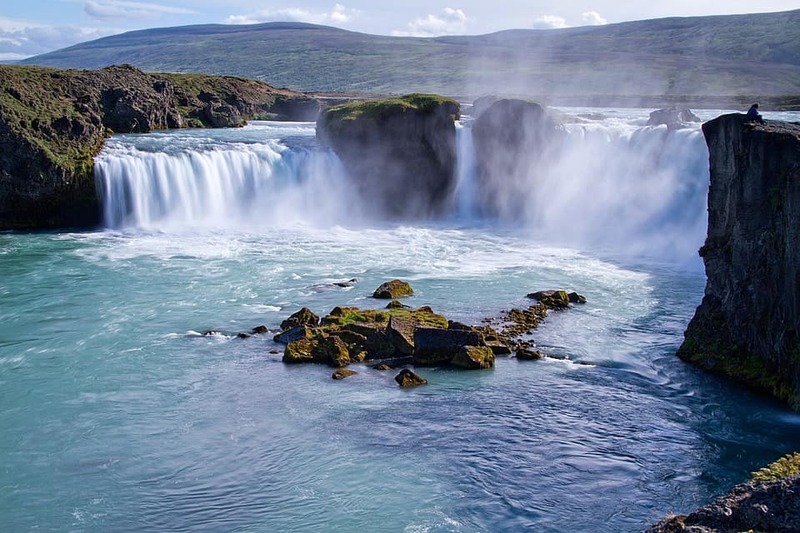 This gay group trip is perfect for those who are looking to explore Iceland’s Viking history and discover some of the world’s greatest geological features. 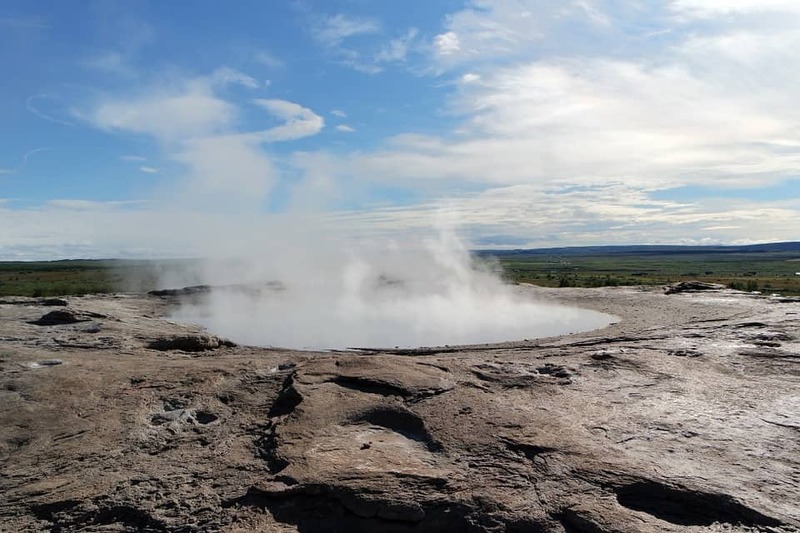 Trek on glaciers, bathe in natural hot springs and see the Great Geysir. 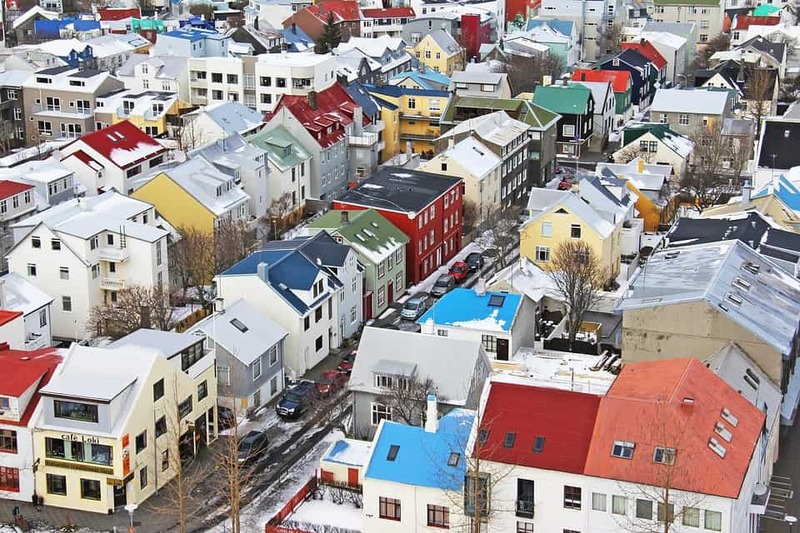 Discover the vibrant city of Reykjavik and stroll along its peaceful waterfront. 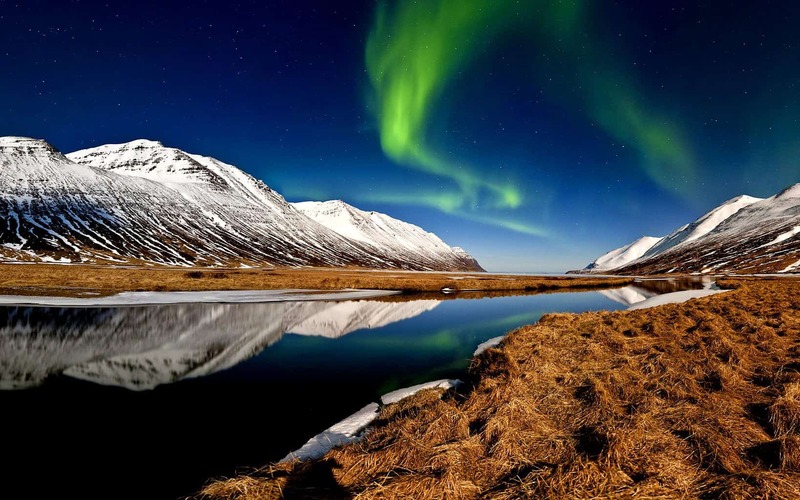 This trip will educate you about Iceland’s iconic Viking Age, exemplified by maritime conquest and the myths of the hammer-wielding God, Thor. Arrive in Iceland in the morning. You will be met by our local representative who will take you to your hotel. 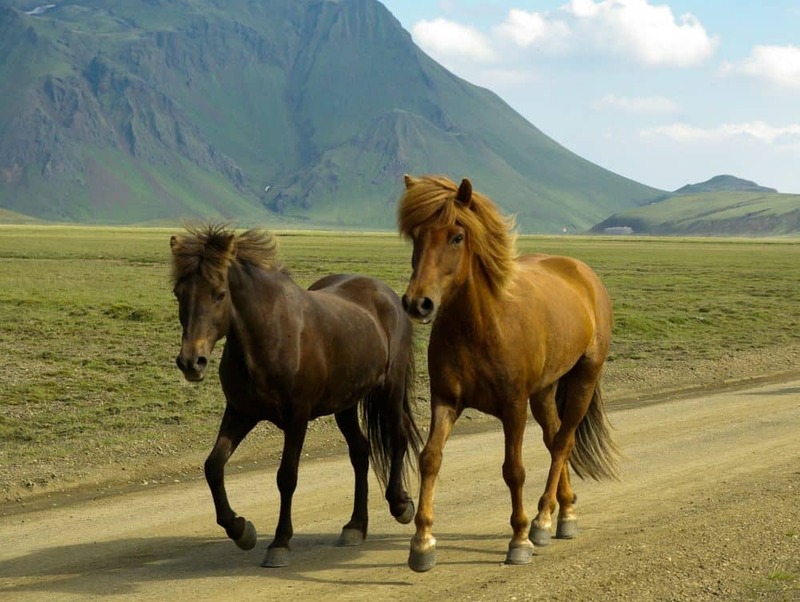 You will then be driven through some of Iceland’s beautiful landscape. Proceed on a moderate trek on some lava fields up to the Burfell Volcano Crater, created about 7,000 years ago. You will be blessed with some incredible views at the top. Enjoy a picnic lunch in this beautiful place and then we’ll visit the lava tube. 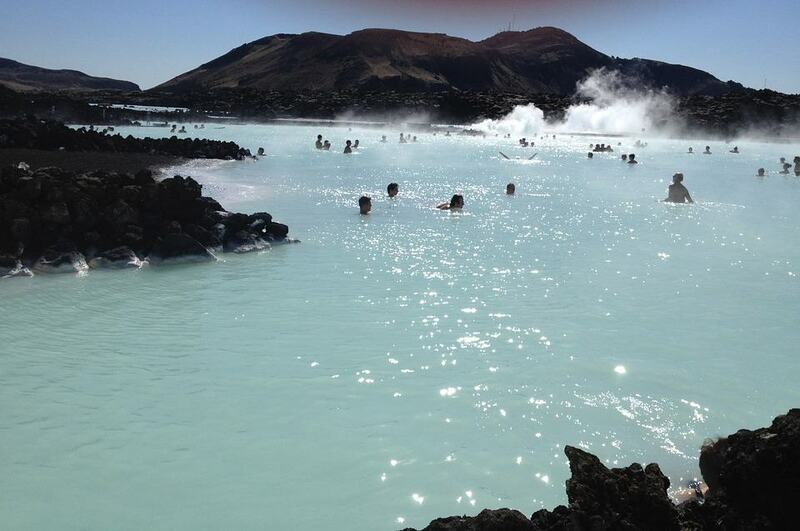 A trip to Iceland must include a visit to the famous Blue Lagoon! The water here is heated by the thermal activity which occurs below the earth’s surface. The waters are rich in minerals which are said to have age-defying properties. Iceland is a hub of geological activity. 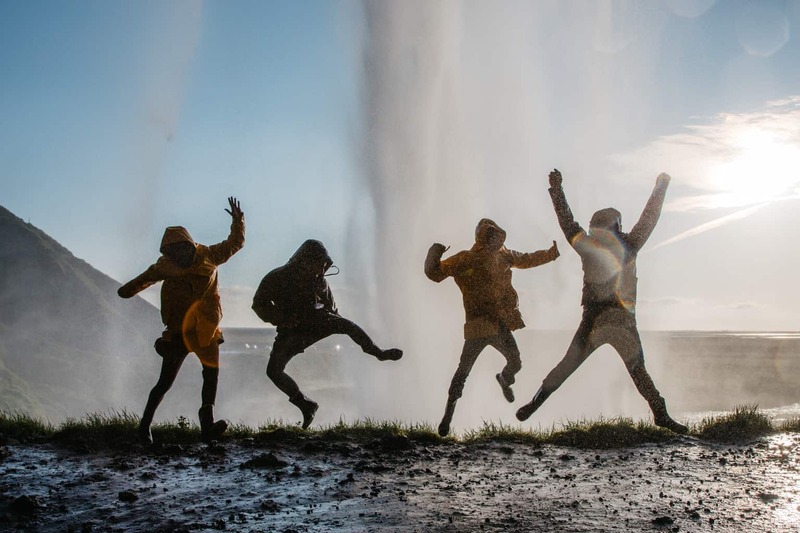 Take a trip to a Geysir and see its waters shoot 30 m into the air. You will then see rifts in the earth’s crusts that were formed by tectonic activity. It’ll then be time to admire the Gullfoss waterfall in all its splendour. It’s so powerful you can hear it ringing in the air. You will then visit Thingvellir which happens to be world’s oldest parliament; a true cradle of democracy. After a jam-packed day, you will head back to Reykjavik for the evening. Today you will proceed on a longer hike into a geologically active area containing hot springs, fumaroles, mud pots, and steaming rivers. After the tiring hike, soak your body in one of the more secluded hot springs. After you will continue to Eyjafjallajökull, the notorious volcano that disrupted Europe’s air traffic. 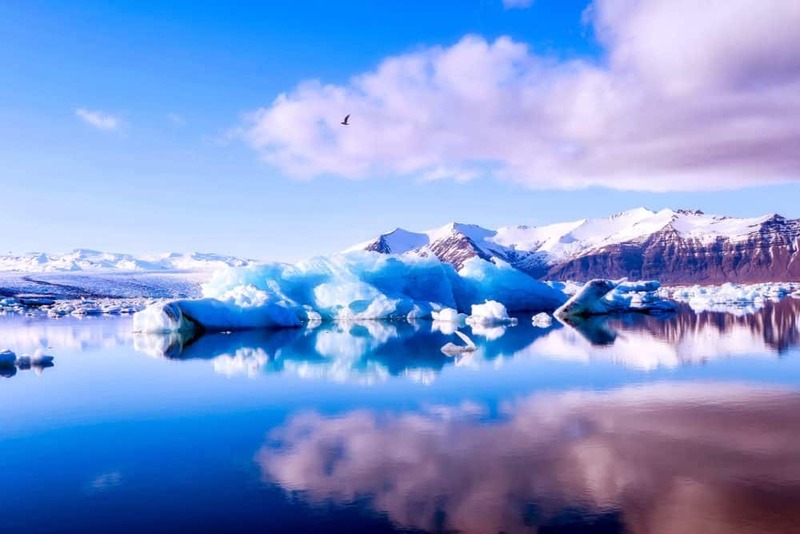 You will then head to the bottom of a nearby glacier called Sólheimajökull. Here you will be met by our expert glacier guide who will teach you how to walk on a glacier safely. You will observe several crevasses, ice caves, and towering seracs. After this, you will visit another magnificent waterfall called Skogarfoss, which drops a couple of hundred feet in a mass of water. 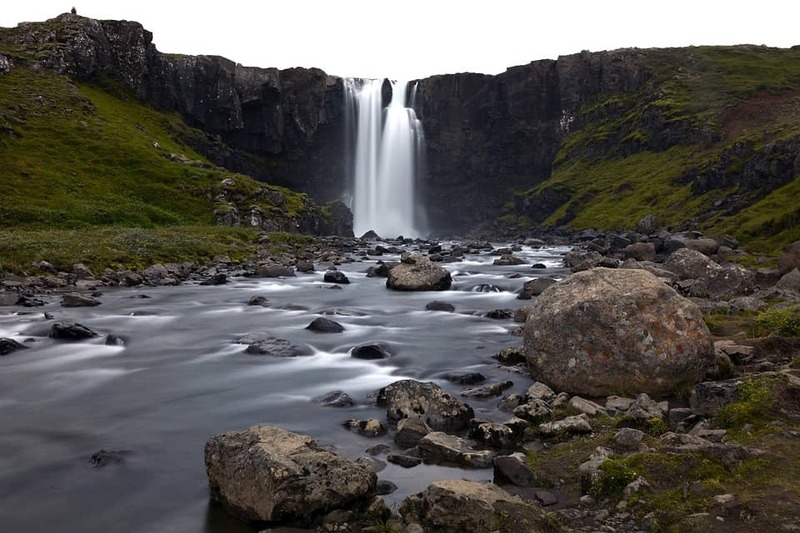 You will then return to the mainland where you will then visit two further waterfalls including Seljalandsfoss which is special because you can actually walk behind it. After this, you will be taken to a wilderness lodge where you’ll stay the next couple of nights. After breakfast, you will be driven across more of Iceland’s eye-popping landscape. Eventually, you will arrive at Landmannalaugar which is very different to any of the volcano collections you would have seen earlier in the week. You will spend the day hiking in the area. The area is also blessed with some wonderful natural hot springs, which you will get the chance to bathe in. 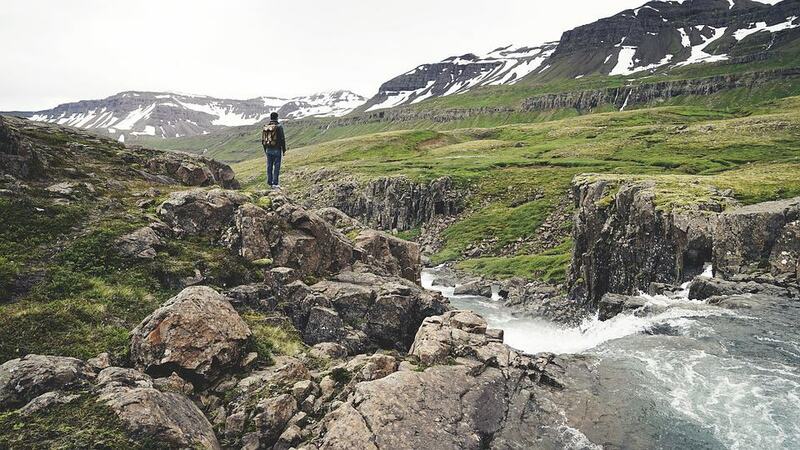 Today you will explore the rest of the Highlands region, where you will walk through native Icelandic forests and farm ruins. Here you will visit a towering set of twin falls 400+ feet high before heading to the naturescape of Gjain, known for its series of springs and falls from all sides. You’ll then be wandering down to the Viking ruins of Stöng. Tonight you will be staying in Reykjavik. Today you are free to explore Reykjavik as you please. Stoll around the streets, plazas, waterfront and soak up the Nordic atmosphere. Reykjavik also has several outdoor, naturally heated pool complexes which are popular with the locals as well as the famous Blue Lagoon. If you are seeking some nature then there are several whale-watching trips you can go on. If you are seeking adventure you can return to the countryside to scuba dive in one of the tectonic rifts. Tonight you will have a lovely evening meal together, where you can share your favourite memories of the trip. Then, Reykjavik’s gay disco awaits those who still have some energy! Today you will bid farewell to your new friends and Iceland as you head to your next destination. Hiking, glacier hike, boat ride to/from Westman Islands (weather permitting), entry to Pompeii of the North Museum and the Viking House recreation, and other outdoor activities.